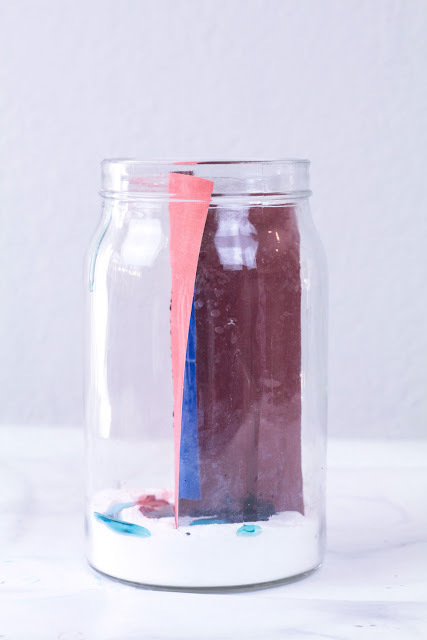 Kids will have fun with this Red White and Blue Science Project perfect for Presidents Day and 4th of July for kids of all ages! The third Monday of every February is President’s Day. Originally, President’s Day was celebrated on February 22nd, which was George Washington’s birthday, but the holiday was moved to the third Monday of the month to make it easier to take the day off from work. 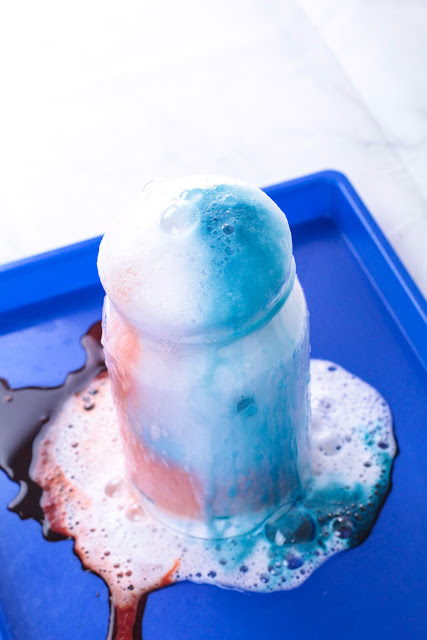 In honor of George Washington and all the other presidents throughout history, we created this red white and blue chemical reactions science experiment to celebrate America, our presidents, and the special place they hold in our history. 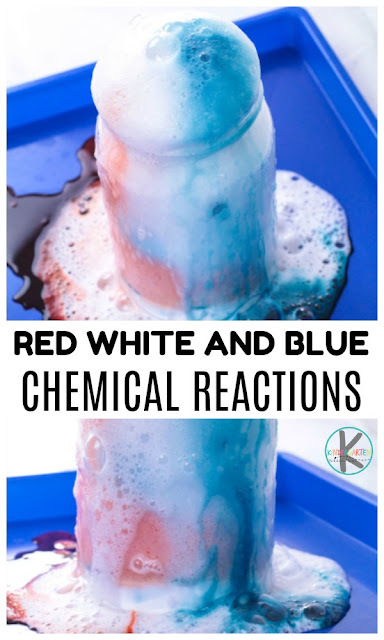 Kids will love making this red white and blue science project that demonstrates a beautiful chemical reaction. 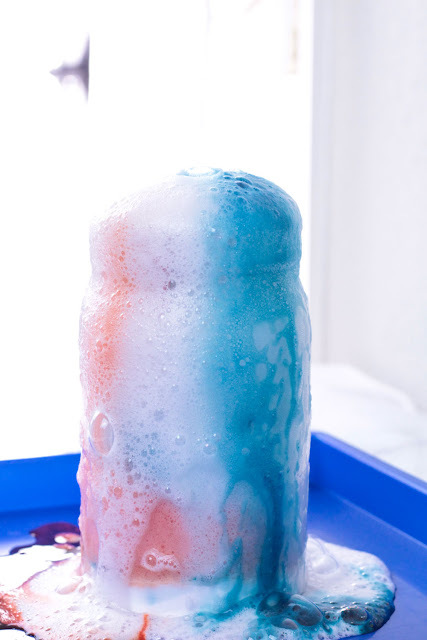 This is the perfect science experiment for Presidents Day, 4th of July, or just for everyday science fun! Cut a piece of card stock paper big enough to fit across the center of your jar, and as tall as the jar. Cut another piece of card stock paper the same height but only half as wide, so you can divide the jar into three sections. Tape the pieces together, and place the divider inside the jar. It doesn’t have to be precise to work. Add a few tablespoons of baking soda to each section. Squirt some dish soap onto each section of baking soda. This will help the reaction last longer and become fizzier. Squeeze some red food coloring into one section and blue into another. Place the jar onto a large tray. Pour a small amount of vinegar into each section. Watch as the red, white, and blue colors rise to the top and start to swirl together. Keep adding baking soda until the reactions stops. How cool is that red white and blue science project?